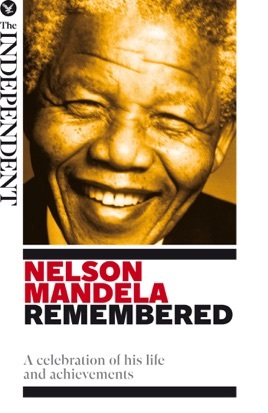 As the world mourns the passing of the most admired and inspirational statesman in living memory, this unique commemorative ebook celebrates the life of Nelson Mandela. As well as poignant and profound evocations of this extraordinary man by Anthony Sampson - his biographer - and John Carlin - friend, journalist and author of the book on which “Invictus” is based - NELSON MANDELA REMEMBERED chronicles the great man’s life exhaustively and lovingly: in rarely seen pictures, in tributes from world leaders, in the recollections of those who lived close to him in his days as a freedom fighter and a prisoner, in portraits of the family man and the global icon, and, not least, in historic extracts from Mandela’s own greatest speeches. With contributions from Bill Clinton, Desmond Tutu, Albie Sachs, Walter Sisulu, Thabo Mbeki, Kofi Annan, Cyril Ramaphosa, Ahmed Kathrada and others, this is the definitive memorial to a man who dared to dream the impossible, and who overcame overwhelming odds to change history for the better.